Flu season is upon us again. To prevent the flu, we’re told that the best remedy is to get a flu shot—a shot which is consistently ineffective, and, incredibly, still contains mercury in many cases. We at ANH-USA have been beating the drum about vitamin D and its well-documented anti-viral capabilities for years, and there is new evidence demonstrating vitamin D’s role in preventing respiratory infections. When faced with the choice of a cheap, safe, and effective natural immune defense against the flu, or an expensive, dangerous, and ineffective vaccine that makes drug companies billions of dollars—which will our crony health officials choose? The study, which pooled data from 25 studies that included more than 10,000 participants, found that vitamin D supplementation reduced the risk of respiratory infections (cold and flu) by 10 percent overall—and there are reasons to think this figure greatly understates the degree of protection. The protective effect of the sunshine vitamin was even more dramatic in those who were deficient. For the deficient, which about 40% of Americans are, the risk of infection was reduced by half with vitamin D supplementation. This builds upon earlier findings from a 2010 Japanese study which found that vitamin D supplementation was as effective as the vaccine at preventing colds and flu. Predictably, the media tries to diminish these findings, with one article stating that “not everyone is convinced that this study should lead us to the supplement aisle.” We’re then told that the Institute of Medicine (IOM) has determined that adults need only 600 IU of vitamin D—an amount that most Americans do not get from sun exposure or their diet alone. The IOM also said that a vitamin D blood level of 20 ng/mL was adequate—recall that this was President Trump’s blood serum level for vitamin D, which the White House doctor found perfectly fine. What this means is that most Americans are not getting the vitamin D they need, in part because health authorities at the IOM and elsewhere in the government are mistaken when telling Americans how much to take. That we do not get enough vitamin D in our diet or through sun exposure to meet a paltry 600 IU means that the number of Americans who are deficient must be staggering. It is a crime that health authorities are not telling people to take vitamin D supplements. The good news is that this study shows that those who are deficient in vitamin D—likely most Americans, given how wrong the IOM is about how much vitamin D we really need—can reduce their risk of cold or flu by 50 percent. That is more effective than the flu vaccine usually is, and without the list of possible side effects such as: fever, headache, sore throat, fatigue, muscle pains, fainting, nausea, and more. 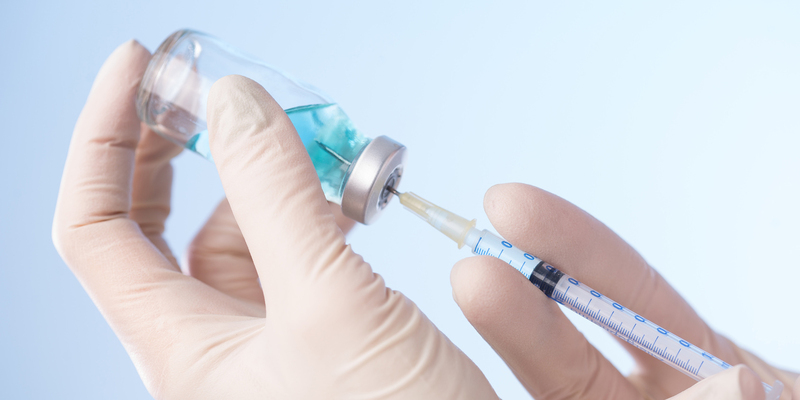 Some flu vaccines contain mercury, a potent neurotoxin, that has been shown to cause neurological damage similar to that seen in autistic patients. Flu shots also contain aluminum, another neurotoxin that has been linked to Alzheimer’s disease and many other illnesses. Other research has demonstrated that children with autism can have up to ten times the safe amount of aluminum in their brains, suggesting that aluminum exposure is linked with autism spectrum disorder. Between 2000 and 2018, there have been more than 500 adverse events reported to the government’s Vaccine Adverse Event Reporting System. This may not sound like a lot, but recall that only a small fraction—perhaps as little as 1%–of adverse events actually get reported. That means that in reality there were closer to 50,000 adverse events over the last 18 years. Vitamin D is often more effective and does not come with these risks. There are a couple of things to keep in mind when taking vitamin D. First, experts recommend taking vitamin D3, which is the same form of the vitamin created by the body when the skin is exposed to sunlight; vitamin D2 is a synthetic version made by irradiating fungus and plant matter. D3 has been shown to be 87 percent more potent in raising vitamin D concentrations in the body. Additionally, other vitamins and minerals can help you get the most out of supplementing with vitamin D, such as vitamin K, magnesium, zinc, boron, and vitamin A. You can read more about vitamin D cofactors here.